Where do the days go? 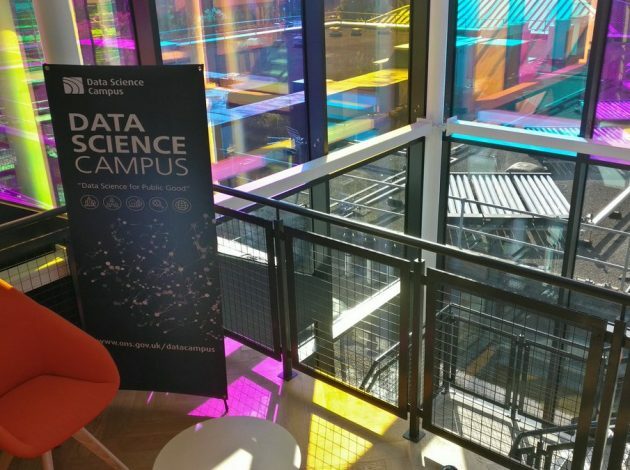 It’s already time for my latest update – providing an overview of what happened in the Office for National Statistics (ONS) Data Science Campus in May. This is one of a series of regular snapshots that highlight many of the things we’ve been doing to support data science for public good in the Campus. There’s more detail on how we’re delivering projects, building skills and supporting the data science community on our website. For more information about any area of our work please contact us. Data scientists from the Campus met with the Cabinet Office to discuss some of our work using patent data in collaboration with the Intellectual Property Office to support the Industrial Strategy “Grand Challenges”. We are working with Barclays on collaboration and secondment arrangements. A joint team drawn from ONS and Barclays will carry out analysis to explore the potential for additional economic indicators using a range of data held by Barclays. We began a project with a Greater Manchester team on better understanding the night-time economy. A joint workshop in Manchester looked at a range of non-traditional data sources. We are running this project alongside a similar night-time economy project with the Greater London Authority and colleagues from the ONS Cities and Subnational Analysis team. Louisa Nolan, Lead Data Scientist at the Campus, took part in a panel review of applications for the joint Turing-ONS-HSBC economic data science programme, that offers awards to academic researchers of up to £150,000. The Campus is supporting those projects that meet ONS objectives, through secondments and collaborations. For more information on our programme of research, please see the project pages on our website. We actively welcome engagement from all sectors: if you are interested in finding out more about working with us, please contact us. Since late 2016, we have been mentoring analysts from ONS and across the public sector in Wales and South West England through the parallel ONS Data Science Academy and Government Data Science Accelerator programmes. We have listed 15 of the three-month projects that we have mentored to date on the Campus web pages. The deadline for applications for the next cohort is 12 June. Applications for the 2018 to 2019 Masters in Data Analytics for Government (MDataGov) opened in May. This Campus-sponsored programme is running at Oxford Brookes University, the University of Southampton and University College London. The Campus is sponsoring places on the data science strand of this course for ONS staff and colleagues from other government departments – applications for sponsorship close on 8 June. Campus Academic Manager Ceri Regan ran two “Art of the Possible” training sessions in Belfast for the Northern Ireland Statistics and Research Agency (NISRA) senior management team. Ceri also ran an Art of the Possible in London for several UK Government departments and agencies. We welcomed two new Senior Data Scientists and four Data Scientists at the start of May. In June, we will be interviewing candidates for three lecturer posts in data science to help us expand our capability-building programmes. You can find out more about our team on our website pages. 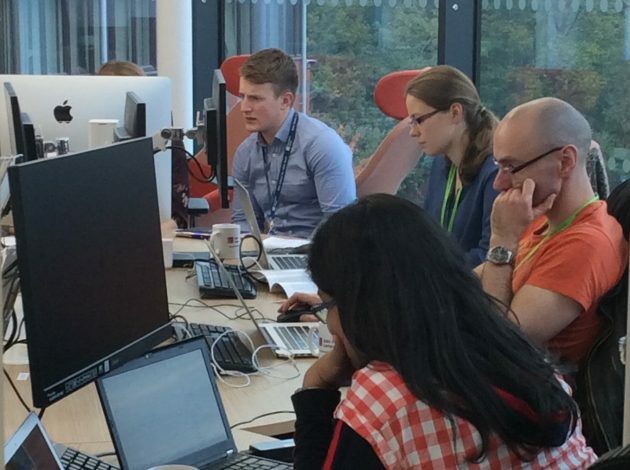 Louisa Nolan attended a workshop on agent computing at the Alan Turing Institute. Agent-based models for macroeconomic dynamics, the housing market and policy decision-making were discussed with a mix of academic and government interested parties. Agent-based models are used to simulate the actions and interactions of agents, to determine their impact on whole systems. Our Managing Director, Tom Smith, spoke about artificial intelligence (AI), machine learning and robotics on a panel at the Digital Festival in Cardiff. Tom also led a workshop at an AI in Public Services event at Cardiff University. Jasmine Latham, one of our new Lead Data Scientists, provided an overview of the Campus at the Advances in Data Science Conference, in Manchester while Louisa Nolan presented at the Economic Statistics Centre of Excellence (ESCoE) Conference on Economic Measurement. Tom Smith also presented on the Data Science Campus to the Greater Manchester Analysts Network. We held the second of our “Girls into STEM” workshops in partnership with See-Science and STEM Cymru. Year-8 girls from the Ysgol Gyfun Gwent Is Coed visited the Campus, learned about STEM careers from several of our STEM Ambassadors and enjoyed coding our programmable Lego robots. We welcomed a colleague from the National Institute of Statistics Rwanda (NISR) who undertook an MSc module in Data Science in Titchfield and is now spending two weeks at the Campus in Newport. During his visit to the Campus we will share our experience of developing and running data science projects, including Agile project management, and begin two collaborative projects with NISR and the National Bank of Rwanda. These activities support the implementation of Rwanda’s data revolution policy, supported by the Department for International Development (DFiD). We also hosted a tour of the Campus as part of the visit to ONS by the United Arab Emirates National Bureau of Statistics. 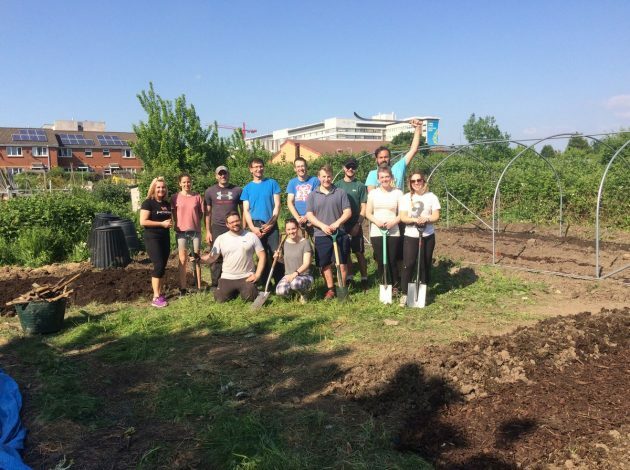 Part of the Campus team spent the day at the Global Gardens in Cardiff undertaking a range of gardening and other manual activities. The project was part of ONS’s collaboration with Business in the Community. interview shortlisted applicants for our lecturer positions. Please look out for our next update in a few weeks’ time: we’ll be sharing highlights from our latest activities. For more information about our projects, our capability-building programmes and the Campus team, visit our website.